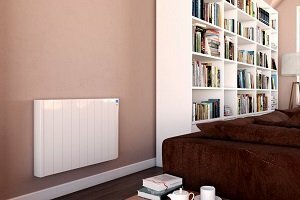 Excellent design, exceptional functionality, extended longevity; the Harmoni brand offers the latest energy saving technology as well as unique features which sets it apart from the competition. Heater Shop offers full technical advice on Harmoni products as well as a free of charge design service. A specialist in the field for over 31 years, the Harmoni brand understanding the needs of household and commercial properties, supplying great quality products for the right price. With a large UK based warehouse and premium supply chain, the Harmoni brand, from choice to checkout to installation, makes the process quick and simple. Harmoni produce electric radiators, electric towel rails and useful accessories, allowing consumers to build a fully automated collection which will work together and individually to provide a brilliantly tailored heating network. Eco-friendly, user-friendly and wallet-friendly, install the Harmoni range for an optimal complete solution to your household warming. Models are available in different sizes and powers, and can be bought as a bundle, hence catering to any sized room, no matter the location or level of insulation. Heater Shop deliver Harmoni products to UK residents free of charge where they can be very easily self-installed. The Lugo range is Harmoni’s signature collection, an elegantly designed radiator with accurate ambient control over its environment. The slim aesthetic blends beautifully into modern into residential and commercial environments, providing noiseless effective heating for ultimate comfort. Its energy saving technology including open window detection and automated timers improve the products performance and overall economy. Great for anywhere in the house, including bathrooms and wetrooms, the radiator is splash proof and powerful enough to warm large open spaces. The Harmoni Lugo conservatory radiators are a modern long term option for rooms with walls of a large glass surface area and low lying walls. The three different size models available use a thermal oil element which retains and emits heat effectively. Economical and efficient, the Lugo range reduces energy wastage and can be used throughout the year. Its onboard consumption indicator is ideal for manually assessing and limiting output, offering the user total control. Harmoni towel rails are available from Heater Shop in a range of sizes and feature a white or chrome finish. They possess functions normally found with sophisticated wall-mounted heaters, offering paralleled levels of control and engineered to the highest standards. Towel rails are often used separately to the central heating system; Harmoni’s onboard display provides access to multiple programmes and readings. The rail remains safe to touch through the inbuilt sensors and overheat detection. All Harmoni products can be controlled through the Electric Heater Remote Program Controller compatible with Harmoni’s Ebro and Lugo range. Experience real comfort through the easy access the remote controller offers. The controller has a memory lock, making amending your household heating quick and easy, with its 2 year warranty ensuring the controller will remain a vital component of your domestic appliances for years. Invest in Harmoni heating systems for hassle-free a heating solution.